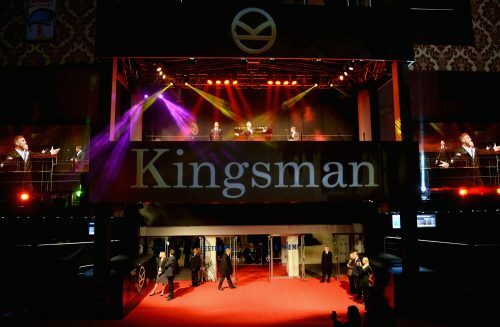 A couple of days ago saw Colin Firth, and the rest of the cast of Kingsman: The Secret Service take over London’s Leicester Square for the World Premier of the upcoming film. We’ve been sent over a nice feature showing what went on. It’s full with interviews as well as Take That serenading the crowds. Not only that, we have also been sent a great selection of stills from the night as well. It’s a nice little feature. The one thing that it doesn’t have are any clips form the film. That’s one of the things that tends to be universal throughout premiere features. Finally, we’ve also been sent over a great scene form the film. This shows Colin Firth channeling his inner James Bond teaching some thugs a lesson. Doing that as well as not spilling any of his drink in the process!